Outsourcing bookkeeping services has its own range of benefits. By outsourcing this tedious management aspect, you can concentrate on your core business. Learn more. Most small and medium-sized businesses are always under immense cost and time constraints and find it difficult to manage everything. When your business grows and expands, it is always better to strengthen your accounting functions. Additionally, if you own a business that involves heavy transactions, it may not be possible for your in-house accounts team to manage the finances of your organization. Moreover, inaccuracies may also arise when matters related to accounts are handled manually. According to recent studies, almost 30 to 40% businesses are outsourcing bookkeeping services to offshore locations for a range of benefits. Backend office functions can turn out to be a heavy distraction and handling bookkeeping in house can lead to a conflict of interests. Outsourcing bookkeeping services gives you the time to focus on your core competencies. As a business, you get more time to concentrate on revenue generation and growth rather than simply shouldering administrative burdens. When you outsource bookkeeping services to a vendor, you get access to a vast pool of talent, who can be prompt and effective in helping you scale up your business. 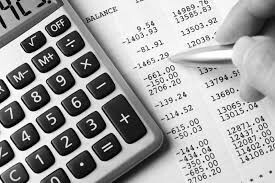 Outsourcing internal bookkeeping services also helps streamline the finance department. Most start-ups as well as small and medium-sized organizations consider it as a cost-effective business strategy. One of the major benefits of outsourcing is that it enables an organization to get quality services within a specific deadline. An outsourcing partner usually has all the requisite resources to streamline bookkeeping services and also provide specific services within the shortest turnaround time. As bookkeeping services are complicated, yet an important part of an organization, hiring in-house staff will require you to expend your resources on the budget-draining recruitment and training process. To save costs, it is always better to outsource your entire or a certain part of your financial services. Outsourcing your bookkeeping services allows you to increase or cut back your services without any risk. Whether you plan to grow your business or cut down on spending, having a reliable outsourcing team can always help you achieve your goals. Outsourcing definitely provides immense flexibility, which an in-house bookkeeping team fails to. 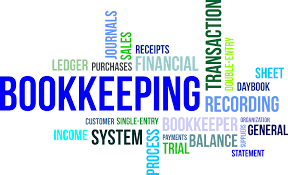 Outsourcing bookkeeping services improves the business efficiency of any organization. Due to the competitive market, outsourcing companies adopt the latest technologies and business strategies for complete client satisfaction. Thus, companies that outsource their services can always expect efficiency-driven results for their outsourced project. In the case of an outsourcing service provider, you may be of the opinion that you’ll lose control over your cash but the truth is you’ll approve all the payments that are going to be made. Outsourcing your services can, in fact, help you gain more control as you receive consistent reporting. These reports can help you manage your business better. Bookkeeping is a tedious job that no one is really willing to do it but neglecting this aspect of your business can also lead to multiple repercussions. The bottom line is that outsourcing bookkeeping operations can definitely bring in a range of benefits to business owners. VirtualEmployee.com enables Small Medium Enterprises (SMEs) around the world to enjoy the same benefits of offshore outsourcing to India as the MNCs.